Girls' Princess Party Holiday Ribbon Tutu Skirt Mythical Costume. Stretchy crochet tube top front with flowers, double shoulder ,bow tie back shoulder. Removable bow at waist for decoration and prefect fit ,matching with a horn hair hoop. 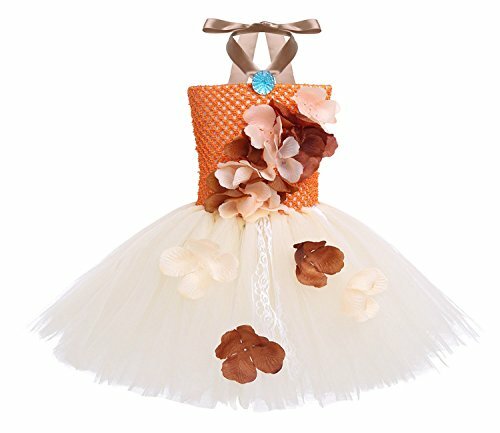 Layered colorful mesh tutu dress, full lining. perfect for ballet, team dance, birthday ,wedding, dress up, ruffle tiered club wear, COSPLAY ,prom ,photo shoot etc. If you have any questions about this product by CHICTRY, contact us by completing and submitting the form below. If you are looking for a specif part number, please include it with your message.